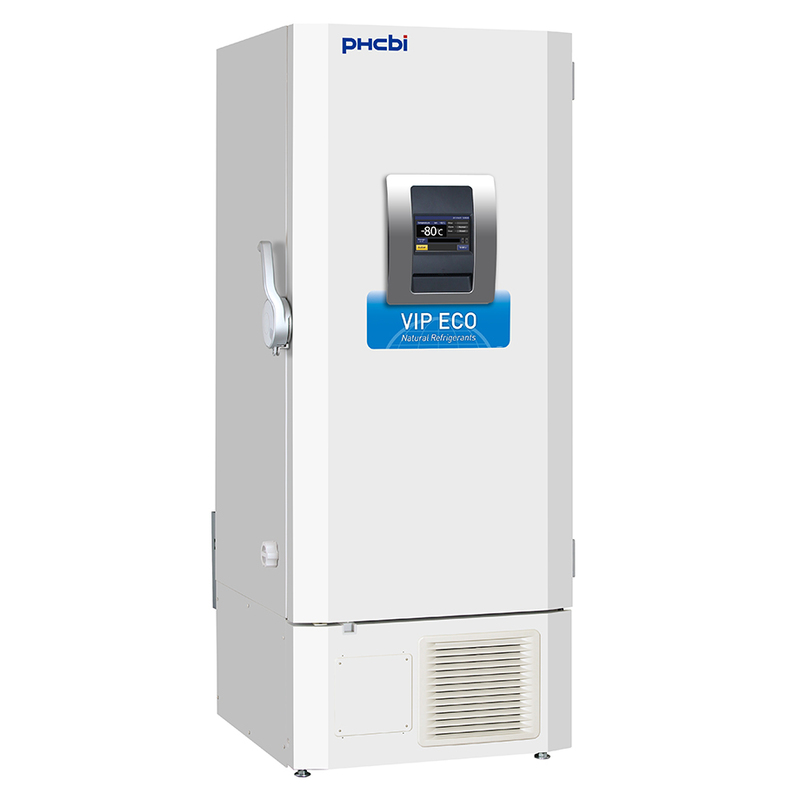 The MDF-DU502VH VIP ECO -86°C Upright Freezer provides maximum sample storage capacity within an optimum footprint combined with natural refrigerants to minimise energy consumption, reduce environmental impact and save money. Naturally occurring hydrocarbon (HC) refrigerants provide more efficient cooling due to their high latent heat of evaporation. As well as improved performance this leads to reduced power consumption and energy costs. 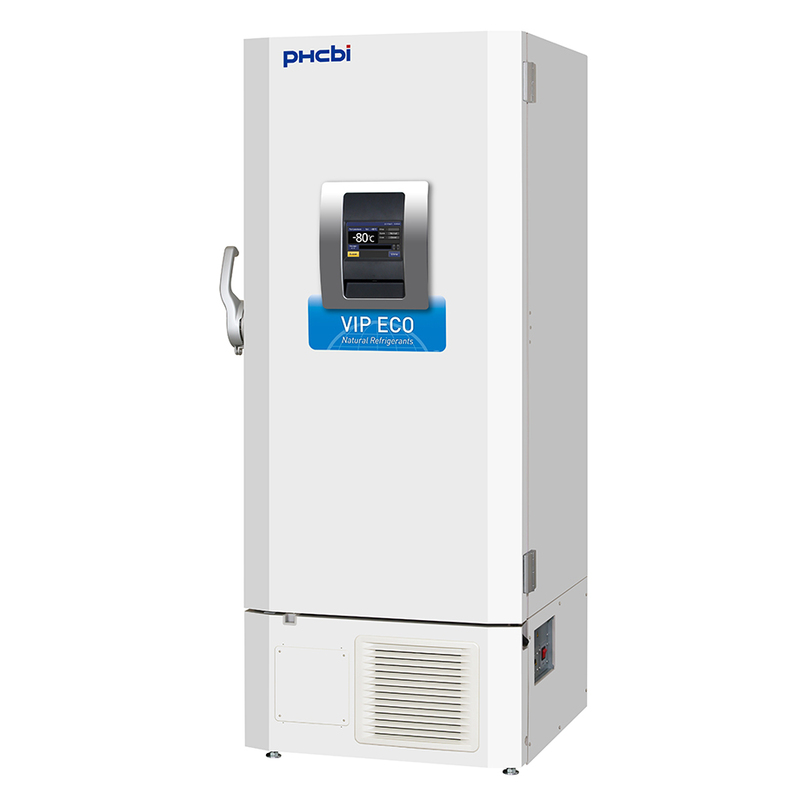 The MDF-DU502VH VIP ECO ULT Freezer contains Inverter Compressors that maximise cooling performance under different conditions, and contribute to reducing the energy consumption of the freezer. The EZlatch makes access to stored samples even easier. A colour LCD touch panel allows full user control, even with gloved hands, while the USB port makes transferring logged data to a PC simple and convenient. Important information such as freezer temperature, door opening times and alarm history is logged for monitoring in GLP applications. While conventional freezers use single speed compressors which cycle on and off, the MDF-DU502VH VIP ECO ULT Freezer contains inverter compressors that can run at different speeds to maximise cooling performance under different conditions. Combined with hydrocarbon refrigerants, these compressors ensure the most efficient energy use and reduced heat output. 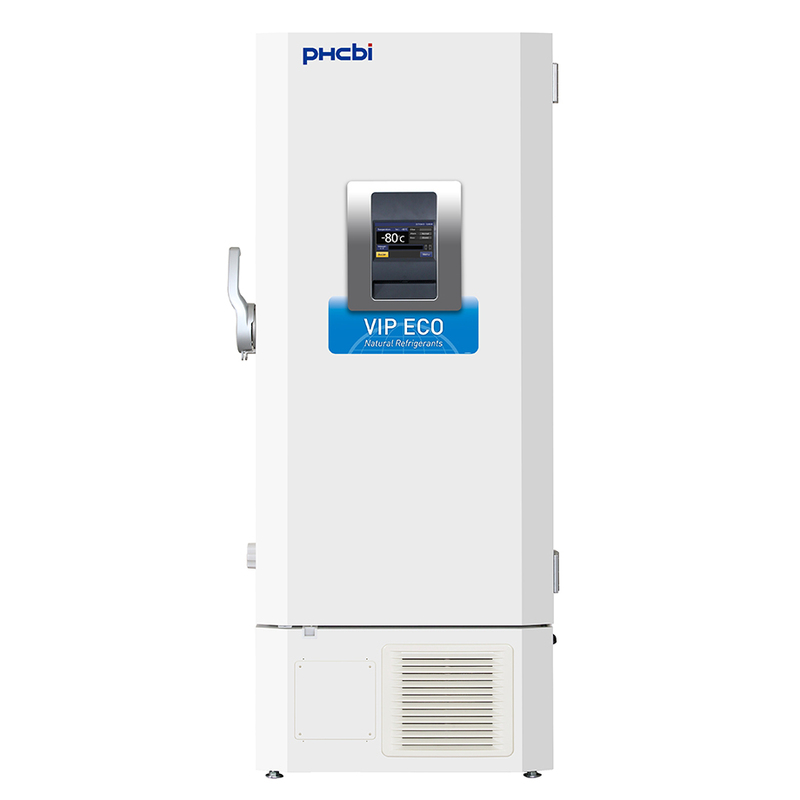 The combination of VIP PLUS vacuum insulation and an enhanced cabinet design with insulated outer door, ensures optimum temperature uniformity, while the reduced wall thickness maximizes storage capacity. Multiple shelf configurations allow a variety of storage options. Organize your samples byźtransferring your current inventory racks. 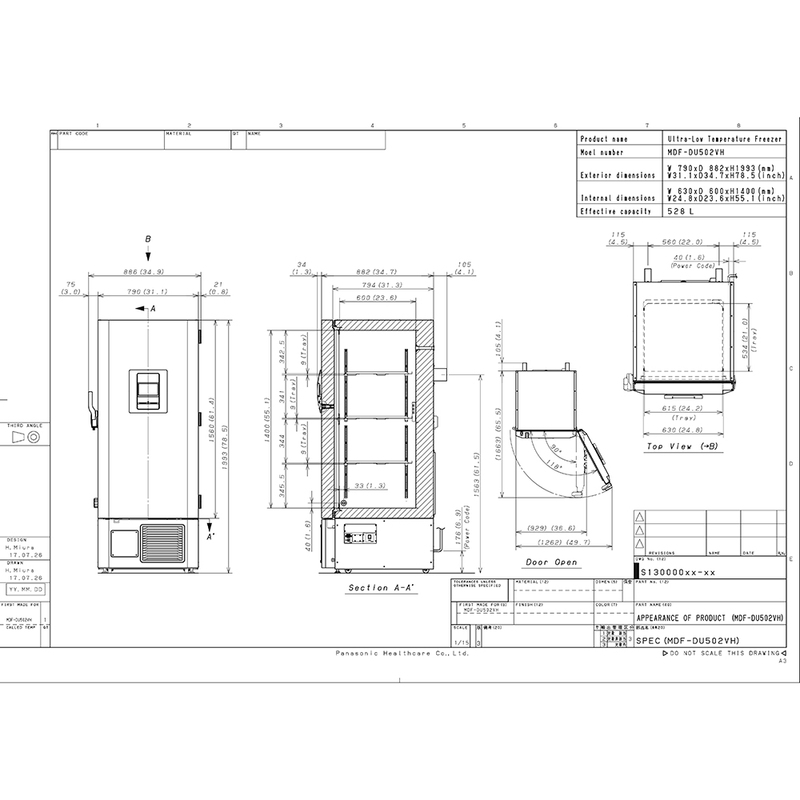 The enhanced cabinet design with chamfered edges reduces footprint for use in multi freezer laboratories. 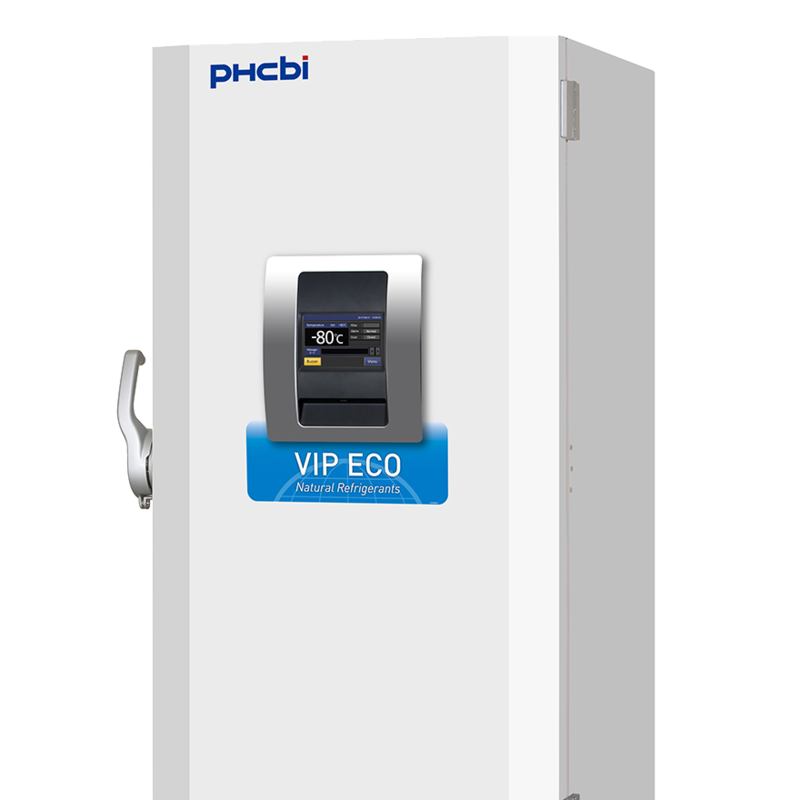 PHC Europe B.V. also offers the MDF-DU702VH-PE (former KM-DU73Y1E) VIP ECO ULT Freezer, which has a capacity of 728 litres.